Beach Villa Sandstone Turks & Caicos. 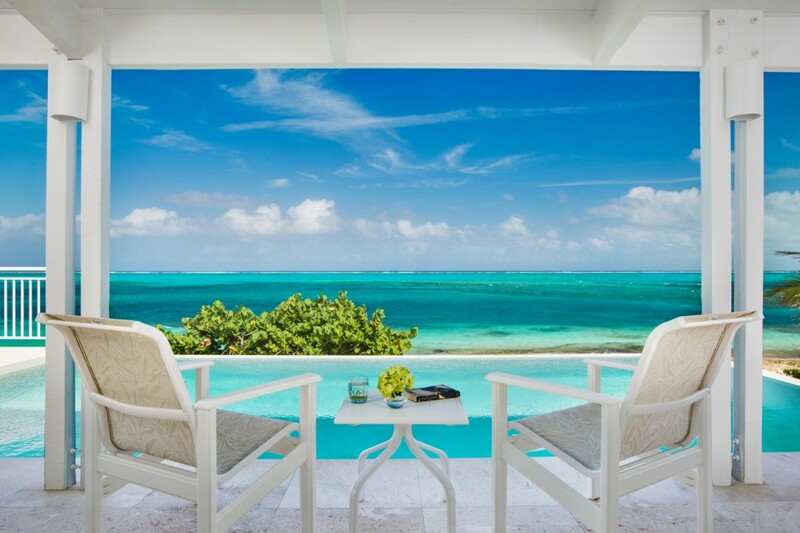 If you are seeking a Turks & Caicos villa that offers the perfect balance of location and amenities, privacy and comfort, luxury and service, then the Villa Beach Villa Sandstone in Providenciales is the ideal answer. A large, four-bedroom property, it sits poised along the sea on Grace Bay Beach. Noted as one of the most famous beaches in the islands, it is tucked into a quieter end of the beach, and is close to Smith's Reef - a snorkeler's paradise! Of course, it is not just the amazing location that makes the villa such a coveted find; it is also the amazing design and comforts you will enjoy during your stay. Walk your private path to the main entrance, passing through mature gardens along the way. The villa stands alone, ensuring total privacy and quiet. Though it is just a few steps to the white sand beaches, this property also offers a wonderful pool terrace. Surrounded with a stone deck and dotted with lounges, it is a destination of its own. There is an al fresco dining spot beneath a gazebo, and a covered portico that surrounds the entire villa. Many spots for lounging and taking in the sea air and scenery make it a fantastic retreat. Step inside and enjoy the high-ceilinged great room where you will find a large and comfortably furnished lounge, a formal dining area, and a truly unforgettable kitchen with breakfast bar. Shaped in a semi-circle, the kitchen is a wonderfully spacious and modern place to prepare snacks and meals without missing a moment of scenery or conversation. The four bedrooms are all ensuite, with three on the main floor and two on the upper floor. The two master bedrooms offer a king bed and ocean views, and two of the remaining suites features two queen beds and garden views. The Villa Beach Villa Sandstone is perfect for a group of discerning travelers or a large family in search of the perfect escape. * Please note a cleaning fee of $375 + tax is to be added to the rental rate. Bedroom 1 & 2: Second floor master bedroom with a king-size bed and en-suite bathroom with vanity and wc. 2 guests maximum. Bedroom 3 & 4: Beach floor bedroom with two queen-size beds and en-suite bathroom with double vanity and wc. 2 guests maximum. Great house on a great beach. Snorkeling right out the back door, white sand just down the way. Highly recommended! overall, a nice house in a good location. while you need a car, you can walk to a few restaurants and coffee bars. the house itself is spacious, with a wrap around veranda porch, nice pool, and easy access to the beach. The beach itself is rocky, and not as nice as the grace bay beach, but snorkeling is available right here. the kitchen is well stocked, rooms are spacious, and the area is quiet. the lower rooms are dark, and don't have wifi, but otherwise come well equipped. overall we enjoyed our stay and would stay again!